Fed up with seeing stupid trading being rewarded with big gains? So is Jared Dillian. That’s why he’s inviting you to join an active, smart service that will help drive the majority of your returns (and you only have to commit a small part of your portfolio). It’s been hard being a smart investor for the last while. We’ve watched bubble after bubble inflate... and for a long time, we watched the stock market go up and up and up. Why would you spend time thinking about where to put your money in that environment? Just jam it all in a market index or FANG stocks and be done with it, right? But if you’re reading this, it probably means you’re like me—you have an uneasy feeling... the sense that the music is going to stop. Bad investor behavior is the number one thing that eats into your returns. But it’s hard to sit on the sidelines and watch your investments stay flat while the Bitcoin/pot/insert-bubble-here chasers crack open the champagne. It’s been tough for me, too. And I’ve been in this business for over two decades: including years spent as an index arbitrage trader and then head of the ETF trading desk at Lehman Brothers. So I’ve seen plenty of bubbles and plenty of abnormal trading environments, and I can tell you that this year has been one of the hardest environments for investors that I’ve seen. But I’m fighting back, with a more aggressive, active service for ambitious investors. We’re going to be aggressive, but we’re going to be smart about it. While the herd chases the next fad, we’ll be far away, actively making and taking profits in sustainable trends. And you only need to commit a small portion of your portfolio to this strategy to benefit from it. Since Street Freak began in November 2015, it has been an authority for investors who want savvy macro analysis and actionable trade ideas. If you leaned towards contrarianism and distrusted the financial media talking heads, it was for you (actually, it still is). And we’ve had a long list of great wins since then. Of course, we’ve had some losers too. (I have a real axe to grind with newsletters that only showcase their winners.) Losing 24.5% shorting a minimum volatility ETF was no fun, nor was taking a 19.72% hit on a Japanese equities ETF. In plain English, here’s the goal of Street Freak: More returns. An active portfolio. Focused on my best ideas. If you’ve been seeking ways to increase your returns without resorting to foolhardy strategies, Street Freak is for you. I’m confident that if you give it a try, it won’t be long before you’re feeling less stressed about your retirement (which FYI, was far and away the number one concern readers had in The 10th Man survey I sent out a while back). At Streak Freak, we trade with conviction... tap into investor psychology... and think out-of-consensus. We are aggressive in going after and taking profits... strengthened by more comprehensive support from our analysts... and focused firmly on my highest-conviction ideas. If ETF 20/20 is the newsletter equivalent of a robo-advisor (but better), then Street Freak is the newsletter equivalent of a hedge fund. All of our ideas are organized into themes. I am typically working between three and five themes at any given time, and I send you an alert whenever I develop a new theme, complete with a detailed analysis of why the idea has earned its place in the Street Freak portfolio. There are more themes waiting for you in the portfolio, but you get the picture. Once I have developed a theme, I send you trades tied to each theme... until we are fully invested in it. This is usually around three trades per month (sometimes it could be more; sometimes it could be less—I do not send you trades to fulfill any quota). These recommendations come to you in real time, via trade alerts. I email them directly to you, so you can invest at the optimum time. The alerts are short, clear, and have all the details you need to know. Right now, there are more than 10 open positions in the portfolio, so there isn’t much time to waste. My Macro Update: My take on the markets to give you the big picture of what’s happening, why. The Month in Charts: I’m a big fan of giving people data so they can evaluate things themselves. Portfolio Update: A detailed review of the portfolio’s performance. Access All Areas: Links to that month’s trade alerts, and any other information that would be convenient for you to have at your fingertips. Questions & Answers: Every month, I answer a question or three from subscribers. Active: I’m at my best when I’m an old-fashioned trader. Aggressive: Our central goal is to generate alpha. Clinical: We take profits as they come—we don’t have dozens of open positions. Tightly Managed: We don’t go down with any sinking ship. Contrarian: My entire investing career has been based on buying stuff that nobody else likes. 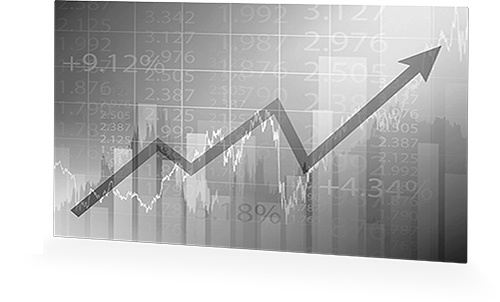 Careful: Even though it’s aggressive, the Street Freak portfolio is designed to be resilient. Clear: I am a proponent of keeping things very simple and boiling things down to their very essence. Agile: Sticking stubbornly with one strategy is a surefire way to get blown up. Straightforward: Sometimes, we go short. But there aren’t any esoteric, hard-to-execute trades. Sound good? If you’re ready to join, you can click here to join right now. One note: with all of Street Freak’s features, you might think it’s going to cost thousands of dollars. I had a quick look at the active trading services out there, and $3,500 seems to be a standard price tag. As you’ll see later, there is no way I am pricing Street Freak at that. My goal is to help as many people as I can, not just people who will pay $3,500 for a trading service. It’s important to me that those of you who join me at Street Freak are committed to our goals. It‘s not “set it and forget it” investing. 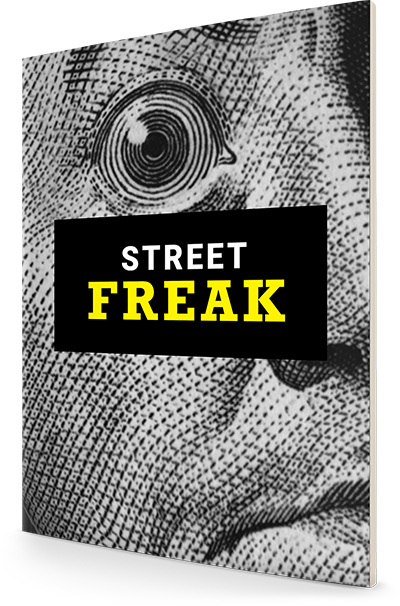 If executing 3+ trades a month isn’t something you want to commit to, then Street Freak probably isn’t for you. Don’t get me wrong—I’ll do the hard work. But you will have to pay attention. It might be a bit lonely. We don’t follow the herd, which can make some investors uncomfortable. But as I told The Wall Street Journal earlier this year, “Any strategy in the financial markets is fine when there’s a small number of people doing it, but when a large number of people do it, it can cause distortions.” We avoid what a large number of people do. Again, it is active, and sometimes that means being aggressive. I’m repeating this because it’s important. If you’re super conservative, you should not be invested in the Street Freak portfolio at all. I don’t care if that loses me potential subscribers, because it’s the truth. With that said, while it’s aggressive, it’s not your garden variety “big gains” publication. Our approach is smart—I hate to lose money, and I invest accordingly. If you’re reading this, you don’t need more information to improve your investing. You don’t need more white noise filling up your day. You need a way to juice the returns of your portfolio without blowing yourself up. And that’s what we do at Street Freak. Which means that this could be one of the most important decisions you’ll make. You’ll go from wondering where to get bigger gains, to actually getting them. All with just a small part of your portfolio. So what’s it all worth? The short answer is: a lot! As I said earlier, your garden variety active trading service usually goes for $3,500 a year and up. I’d find it hard to sleep at night if I charged that. That’s $207.91 a month instead of the $300 you’d pay for a “standard” active trading service. I get that it’s not small change. But it’s worth every penny and more. What: An aggressive stock-picking newsletter with a contrarian, sentiment-driven bent, designed to outperform the market. 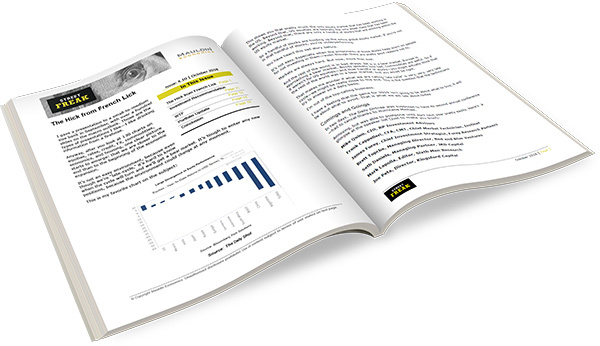 When: 3+ trade alerts per month, monthly issue published on the second Tuesday of every month. 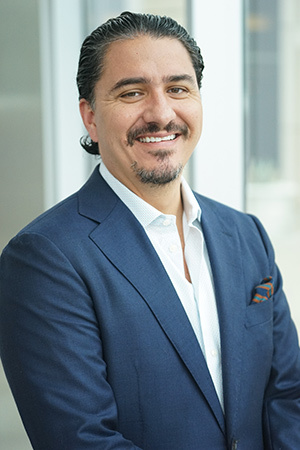 Why: Street Freak is the service that every investor wants. It’s active, it features my high-conviction ideas, and it has a strong focus on bigger gains that will juice the returns of your overall portfolio. How: My themes are central to the Street Freak portfolio. 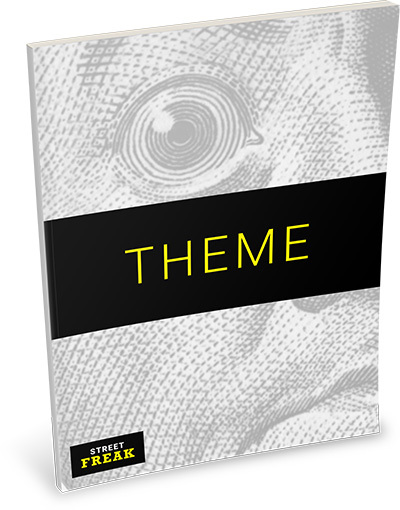 As each theme is developed, you will receive trades tied to it, until we are fully invested in each theme. And as profits come, we take them. How Much? : $2,495 for one full year. I’m confident that once you spend some time with the new Street Freak, you’ll see exactly how good a value it is. So, here’s the money-back guarantee: You have a full 30 days to decide if Street Freak is right for you. 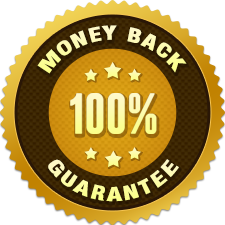 If you’re not 100% satisfied—for any reason—you can cancel within those 30 days and receive a full refund. In those 30 days, you’ll get a monthly issue, several trading alerts, and access to the full portfolio. And if you don’t like Street Freak, I will give you your money back, no questions asked. Can’t be fairer than that. If you want to try it out risk-free, simply click the link below. Yes, I Want to Become a Street Freak Subscriber Now! Finally, thank you for continuing to read my stuff (including this letter). I have been doing what I do since 2004 out of a sincere desire to help people, and I truly appreciate the opportunity to do so. Start Juicing Your Returns with Street Freak Today.